I have started using AWS several of years back. I can remember in early days, it was really difficult to design solutions using Cloud Services, Connecting each DOT and initially it was natural to select virtual machine boxes and consider Cloud just as a Hosting Provider. This allowed me to use conventional practices in developing the application and deploying it in a virtual machine in Cloud, labeling as Cloud Powered. In fact we had a better way of saying it in technical terms, that the solution is not vendor locking for a Single Cloud Provider. It didn’t took much time to realize that it completely limits the potential in using AWS. I found the need for a structured training to understand the underlying concepts and platform capabilities so that I can utilize the Cloud more efficiently. I was lucky enough to attend the first ever instructor lead training organized by Amazon Web Services in Sri Lanka for Architecting on AWS thanks to the opportunity provided by 99X Technology. This helped me to understand the details and best practices in using AWS to design solution and I was able to apply the knowledge immediately to enhance several deployments done for customers with AutoScaling and LoadBalancing. Since then, I spent most of my career designing solutions in AWS as well as full stack web application development. This helped me to understand utilizing cloud not only from operations but mostly from development perspective where it helped to embrace the use of Microservices and Serverless for solutions. Attending the AWS ReInvent 2015 was one of the greatest change setters in my career thanks to Kjetil Odin Johnson (WhatifAS CEO) who encouraged me to attend the event. This is where I was able to broaden my knowledge with AWS, participating for more than 25 sessions done by various experts. At the event, there were several sessions that are limited to AWS Certified Solutions Architects. So I took the challenge in sitting for the AWS Solutions Architect Associate examination, where I studied during the nights for two consecutive days. Having 12 hour time difference with Jet Lag helped me to stay awake to study and prepare for the examination knowing that it needed additional preparation. 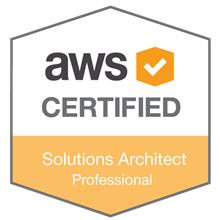 The commitment paid off and I was lucky enough to Pass the AWS Solutions Architect Associate examination at AWS ReInvent which opened the doors to attend hands on solution design sessions. AWS Solutions Architect Associate Examination measures the ability to implement technical solutions in AWS. This includes knowing each of the services with hands on practice in using them to provide a solution. Most challenging aspect of this examination is the time management and it is required to complete small questions fast so that you can use more time on scenario based questions (There are couple of scenario based questions). Overall the examination is with moderate difficulty and if you have hands on experience and knowledge with some preparation on answering questions, you should be able to pass this examination. After the ReInvent I have continued working with various clients collaborating with Amazon Architects in designing solutions for small to medium sized software vendors as well as for enterprises, mostly on cloud migrations and new projects. With the knowledge I gained through ReInvent, most of the solutions I designed lately focused on Serverless Microservices utilizing Cloud Native Solutions, lowering the Total Cost of Ownership(TCO) for the business. During the past few years, the perception of Cloud has changed dramatically. I can remember most of the time I was raised with the question “Is Cloud Secure?” Now people are more concerned about “How to design solutions with Security in Cloud” and understands that its much more secure than an On-Premise data center. 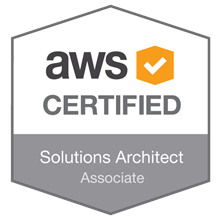 Nearly after two years obtaining the AWS Solutions Architect Associate Certification, I realized the need to move ahead for the Professional Certification. With perfect timing, Amazon also offered 50% discount for the recertification or to sit for the professional examination. By doing a basic research, it was evident that the AWS Solutions Architect Professional examination is one of the toughest in the industry. This is where I started planning and preparing for the examination for 6 months. I have created both long term and short term plans to prepare for the examination. Following structural training and material (I used aCloudGuru’s both Associate and Professional courses). I used Stackoverflow to answer questions, expanding my AWS knowledge in an organic manner (I have answered nearly 400 questions, gaining nearly 5000 reputation during the time period). Go through the White Papers and ReInvent videos. Practiced using CloudFormation and Automating the Provisioning in AWS. First two days, I have skimmed through all the White Papers and some of the structured training material. Just one day before I have sat for the Practice Examination offered by AWS. I failed the practice examination in the first attempt and knew that the practice examination is more challenging than the original one. I would definitely recommend to sit for the practice examination before attending the real one because there are so much to learn, specially on time management. After the practice examination, I did a retrospective and identified and focused on both reading more White Papers as well as ReInvent videos related to weaker areas. After sitting for the examination, it was so evident that time management is really essential to answer the questions. At the middle of the examination I was behind my expected speed and had to speed up answering the latter half of the questions. However the commitment paid off and I was able to Pass the AWS Solutions Architect Professional examination in the first attempt. It is important to understand that, Professional examination is different from the Associate Examination in many ways so the same preparation might help. Compared to the Associate Examination, Professional one measures the ability to provide solutions in cloud (Rather the technical aspects of each service). The nature of the questions are also aligned towards solving real world business problems. All the questions are scenario based that eats up lots of time just to read through the questions. So it is important to manage time so that you are able to answer all the questions. One approach to save time while reading the answers is that, identifying the key points which differentiate each answer, because it takes lots of time, reading the answers again and again. Overall, most important skill you need to develop to successfully pass the examination is to have experience in solving real world problems using Cloud. Looking back, I feel the most important aspect of the learning is the Journey in Preparation for the examinations. It helps to gather lots of knowledge, experience and developing the skills needed to confidently design solutions in Cloud.